The man behind the restaurant’s highly celebrated Chef’s Table Omakase, Head Chef Shigeru Kasajima—a seasoned Japanese chef with many decades of French culinary skills under his belt—ensures that all dishes prepared are nothing short of perfection. He serves only the best seasonal seafood and produce—treating them delicately so as to present diners with only the purest, most pristine flavours and textures—and prides himself with serving premium ingredients of the highest grade. 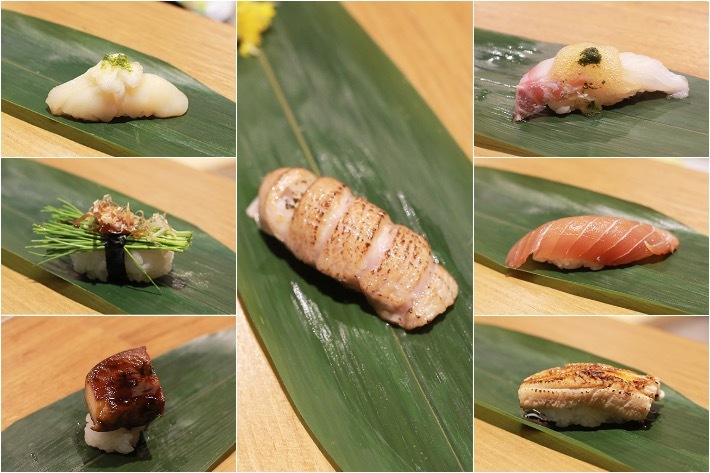 Whether it is a moulded nigiri sushi or a simple soup, you can rest assured that Chef Kasajima cuts no corners—he ensures that every item is perfect before serving from seasoning to garnish. 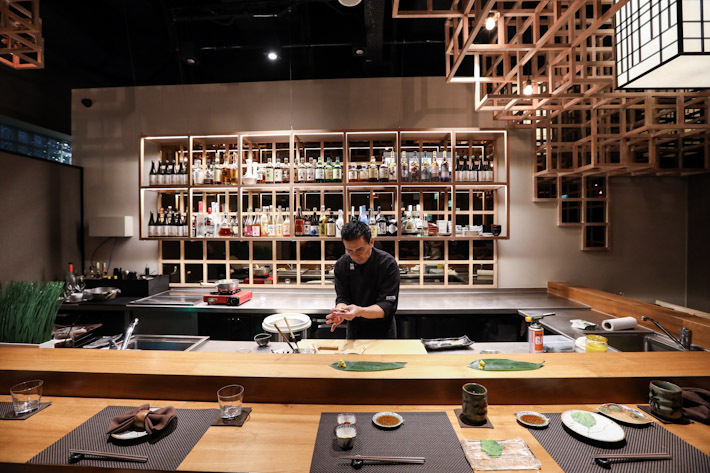 Decked out in an intimate space of tranquil elegance and a sleek counter that sits just eight, guests are able to witness Chef Kasajima’s culinary prowess that embodies the spirit of both Japanese precision and French flair. Intimate from beginning to end, be prepared to be pampered like royalty as you entrust your evening to the chef himself. Dining at Fat Cow promises heightened dining experience unlike any other—one filled with a myriad of delicate tastes and unforgettable moments of sensorial bliss. 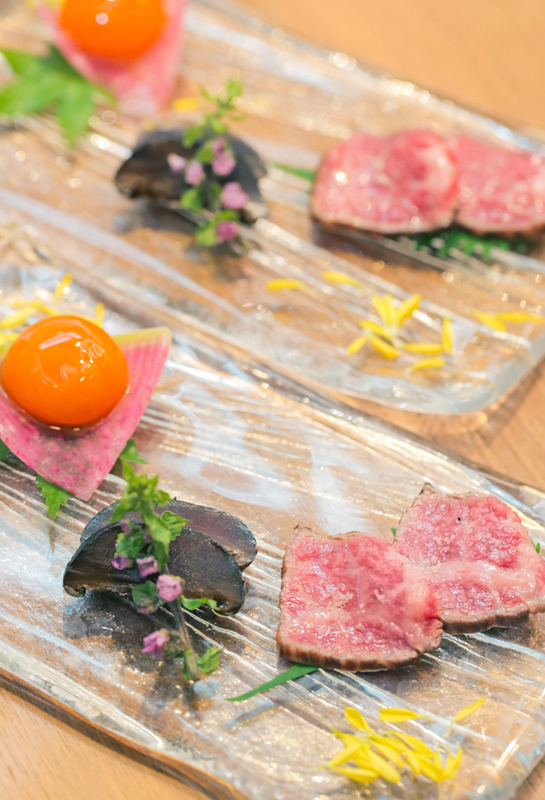 Both the lunch and dinner Omakase kicks off with the Amuse Bouche, which is essentially a wagyu beef carpaccio served with a marinated egg yolk and shiitake mushrooms. Straightforward and visually stunning, we were blown away by how each individual component stood out without outshining one another, flavour-wise. The marinated egg was creamy and decadent while the shiitake was surprisingly sweet with a hint of umami. The seared wagyu, on the other hand, provided a nice buttery texture which completed the dish. With the introduction of rich flavours at only the first course, it made complete sense to have the Sea Bream Soup with Lime Sudachi as our second. A hearty palate cleanser with notes of citrus, the light yet flavourful fish soup was hot, savoury and just what we needed to prep ourselves for the heavier courses ahead. 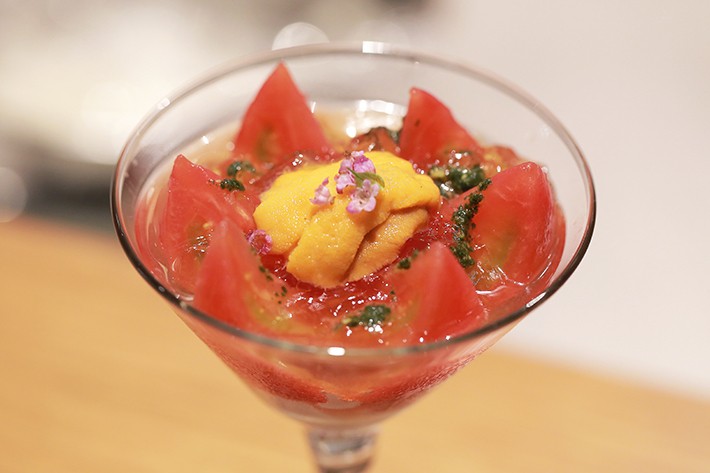 Served in a martini glass, the Tomato with Sea Urchin and Tosazu Jelly—available only in the dinner Omakase menu—comprises a chilled Japanese tomato, sweet and savoury jelly (Tosazu Jelly), sea urchin (uni) served in a light, refreshing sauce. A delightful appetiser, every mouthful was a combination of rich flavours that were nicely underscored by savoury and umami notes. 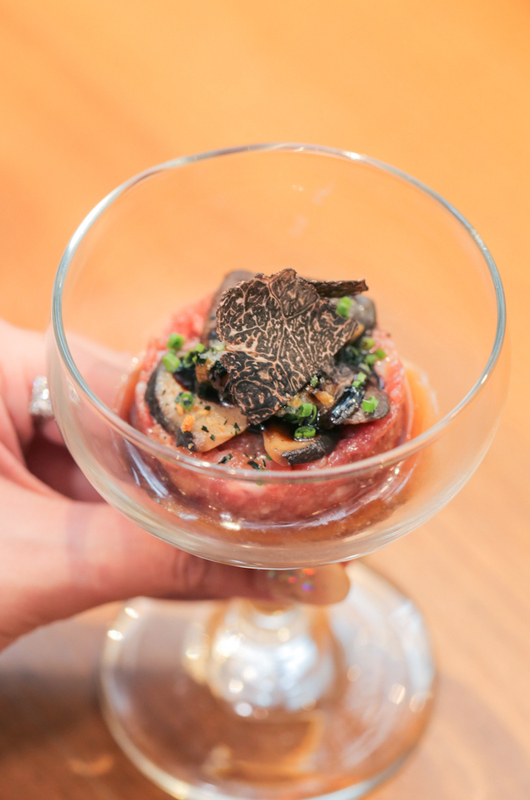 Another appetiser to look forward to is the Wagyu Tartare with Black Truffle and Quail Egg Yolk in Yuzu Ponzu. A true spectacle to behold, everything about this dish from the way Chef Kasajima prepares it to its final assembly is a display of Japanese precision and discipline at its best. The dish first begins with a carefully formed layer of wagyu beef mince followed by shiitake mushrooms that he carefully places on top. 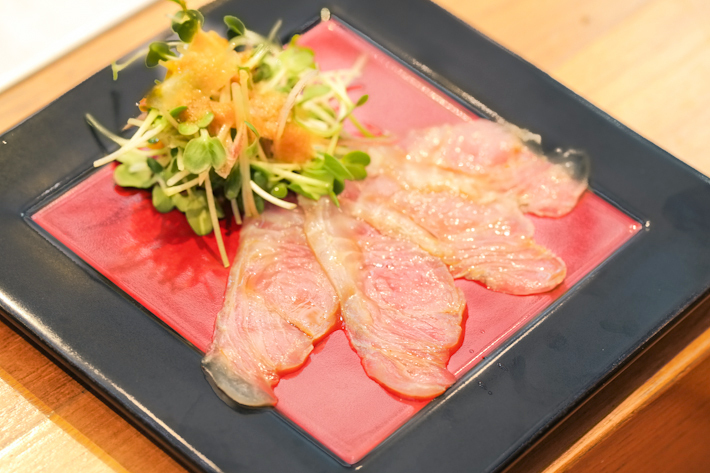 Finally, black truffle is shaven over the top and a yuzu ponzu sauce is drizzled over. Chef Kasajima’s advice is to first take a bite of the dish as it is to appreciate the raw flavours of each component and subsequently to drizzle in the quail egg yolk and mix everything together. Sliced thin and seasoned with a few drops of their house-made yuzu miso, the first thing you taste is the salty kick from the miso followed by the citrus notes from the yuzu. The raw flounder was relatively neutral tasting, which perfectly brought out the dominant flavours in the dressing. 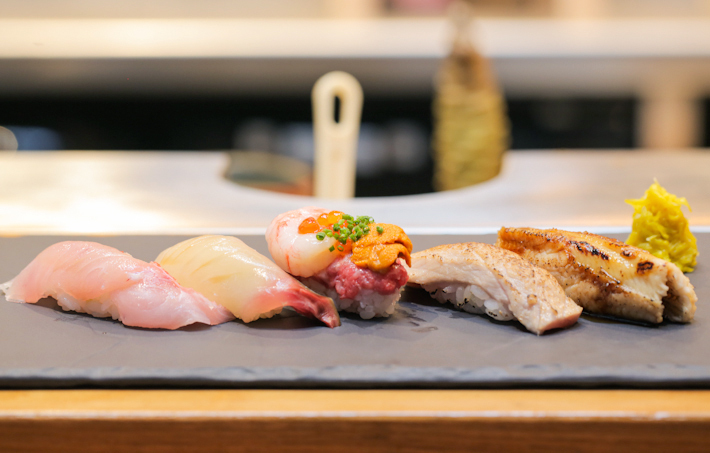 The Chef’s Table Omakase lunch comes with five pieces of nigiri sushi. The sushi selection encompasses a smorgasbord of fresh ingredients that were carefully executed so as to not overshadow one other. For lunch, guests can tuck into the likes of Alfonsino, Bluefin Tuna, Striped Jack, Signature Surf and Turf and Conger Eel. 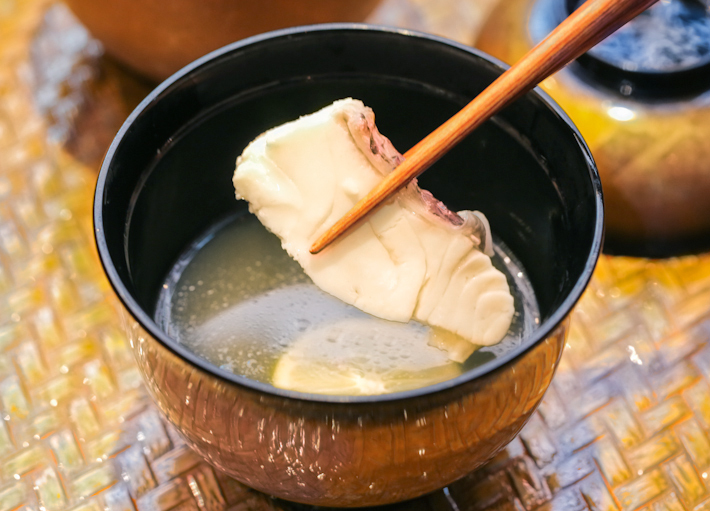 Some are dipped in shoyu, torched or simply served as it is to allow the original flavours of the fish to shine through with every bite. 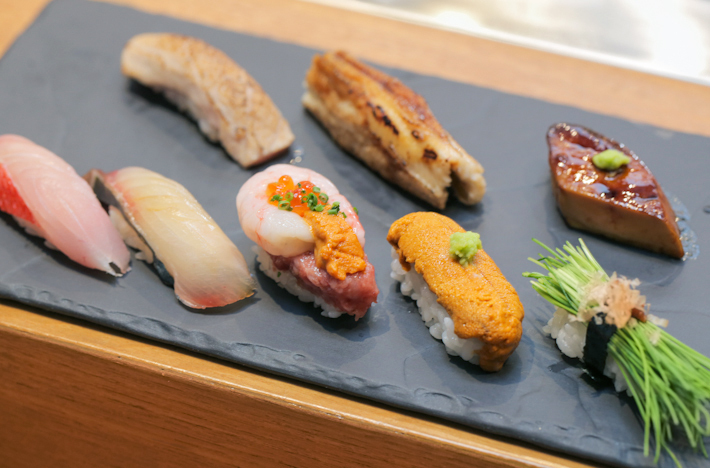 The sushi is also served with a side of Pickled Chrysanthemum (Japan’s national flower and a snack that was enjoyed by royalty), instead of the traditional ginger, setting a more modern take on the Omakase experience. Do note, however, that the ingredients used may vary depending on seasonality. For dinner, indulgence truly knows no bounds with the addition of three sensational nigiri sushi items on top of the ones mentioned above. They are the sea urchin (uni), marinated foie gras and baby leeks with bonito flakes. The uni (sea urchin) sushi was phenomenal and a true luxury for the palate—from the brininess that hits you when it first touches your tongue to the subtly sweet taste that lingers. Dining at Fat Cow would not be complete without savouring some of their prime wagyu beef and the Wagyu Sumibiyaki is a dish specially designed for the Omakase dinner to showcase just how exemplary the quality of their beef is. With a meat so fine in quality and marbling, only the simplest treatment is needed. Lightly seared to achieve a caramelised exterior but just enough so that it still retains its buttery interior, the wagyu is delicate, soft yet extremely flavourful. 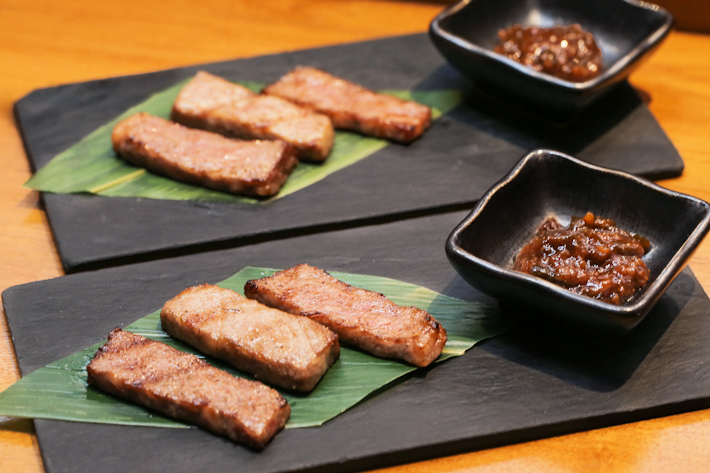 The quality of the beef is simply divine and as if having it on its own wasn’t good enough, served on the side is Chef Kasajima’s house-made koji miso that further accentuates the tender beef, giving it a nice salty kick. If you find yourself drooling in envy now and hankering for a taste of all these decadent goodness, just know that there is still much more to expect from Fat Cow’s respective Omakase menus—we’ve barely scratched the surface. Fat Cow’s Chef’s Table Omakase Dinner (S$250++ per pax) comes with amuse bouche, soup, five appetisers, three seasonal sashimi, six pieces of nigiri sushi, wagyu sumibiyaki, akadashi miso soup, Japanese rolled omelette and Japanese fruits. 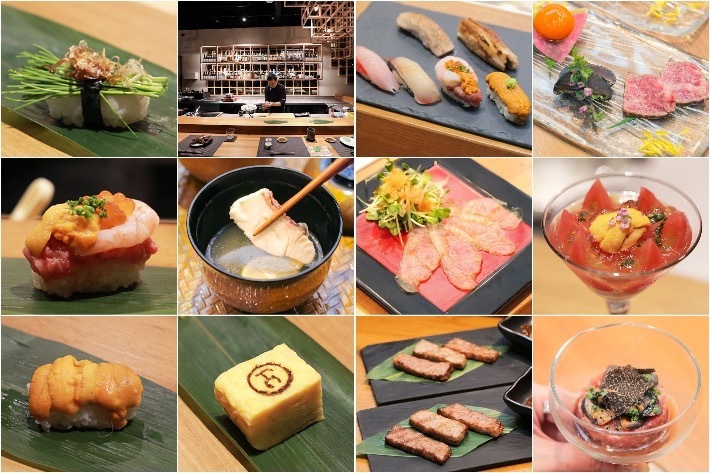 If you are new to Omakase, you can choose to try the Chef’s Table Omakase Lunch (S$80++ per pax) first which consists of amuse bouche, soup, two starters, appetisers, five pieces of nigiri sushi, akadashi miso soup, Japanese rolled omelette and ice cream. Do note that the aforementioned courses may not be available during selected days/ seasons and the chef will replace them with seasonal specials that are of similar value. This post was brought to you by Fat Cow. Hope this is the right place for the giveaway. I’d like to bring my wonderful wife, Joanna, who brought us a beautiful baby boy 3 months back. This would be most awesome!